Tara Romano of NARAL Pro-Choice North Carolina discusses #HydeAmendment, which continues to ban federal Medicaid coverage of most abortion care, and has spread to other public and private insurance coverage bans. Florence Siman from El Pueblo will talk about the importance of Reproductive Justice for the Latinx community in North Carolina. Amanda Murray of Population Connection will talk about the #GlobalGagRule which historically has hurt women in other countries as the US works to control what their organizations say and do. The Trump administration made the current version of the global gag rule much worse than it had ever been previously. Past versions of the Gag Rule have been devastating to family planning programs around the world. The expansion of the policy to other global health programs will be catastrophic—potentially affecting $9.5 billion or more in US aid, according to Suzanne Ehlers, president and CEO of the global reproductive health organization PAI. 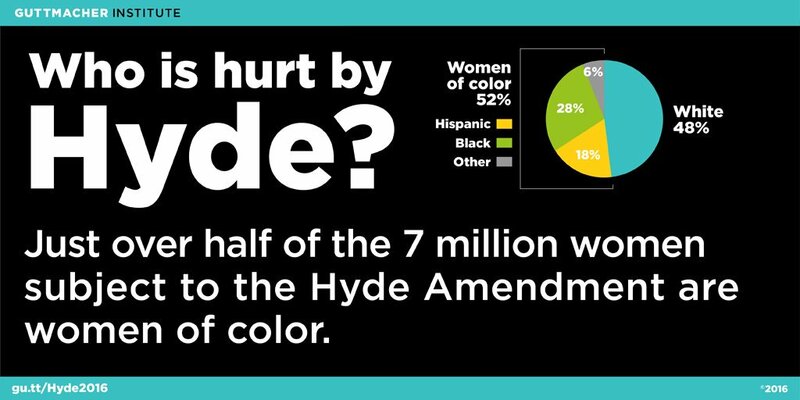 We call on Senator Tillis to support legislation which would end the Hyde Amendment (the “EACH Woman Act”), to vote against the Hyde Amendment in the future, and to repeal Trump’s deadly Global Gag Rule by supporting the “Global HER Act”. This entry was posted in abortion, global gag rule, health care, Hyde Amendment, reproductive rights, Rural women, safety for women, women and tagged abortion, global gag rule, Hyde Amendment, reproductive justice, reproductive rights, Rural women, safety for women. Bookmark the permalink.